Certification of wheels and castors. Our Tellure Rota wheels and castors carry appropriate worldwide certification thereby confirming the pristine quality of our imports. The selection process is performed meticulously to ensure that our esteemed clientele are provided with the best choice of wheels and castors possible. Research and innovation go hand in hand and we take great initiative to allocate our resources to discover new products which are durable, expertly engineered and in conformity with EU health and safety standards for wheels and castors. Climb the ladder of success by obtaining one of our certified heavy-duty ladders! 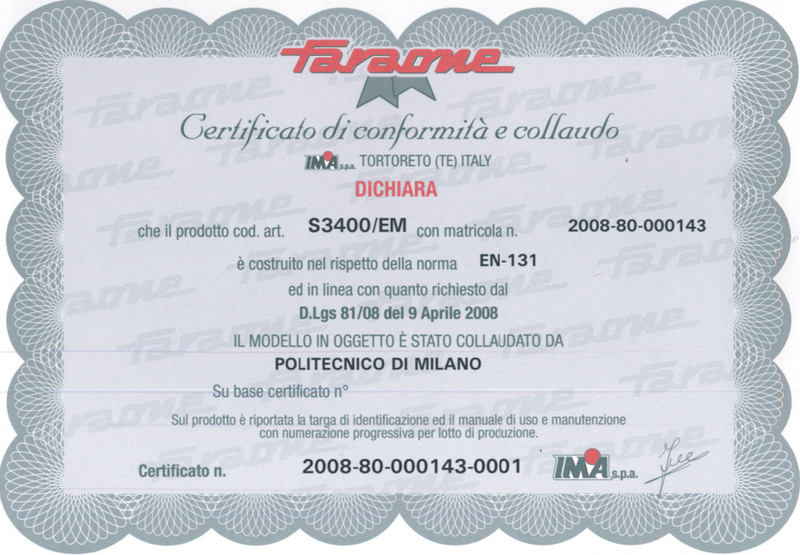 Faraone ladders are specifically manufactured to meet various EU certification requirements. Our ladders are durable, easy to handle and in line with current health and safety standards. Look no further! Your solution is right here! Always choose ladders which comply with EN131 safety standards. It’s stable. Very much so. Not moving at all. So that you can do a finer job, there is something well built under your feet. For any intervention, there is the appropriate scaffolding system available. Home do-it-yourself, or industrial herculean task, we’ll find you the right one. Whichever instance, safety and well-being are paramount. – They are easy to obtain, if one uses a premium scaffold. Naturally, scaffolding systems provided abide by EU standards. They also carry the appropriate EU certification. 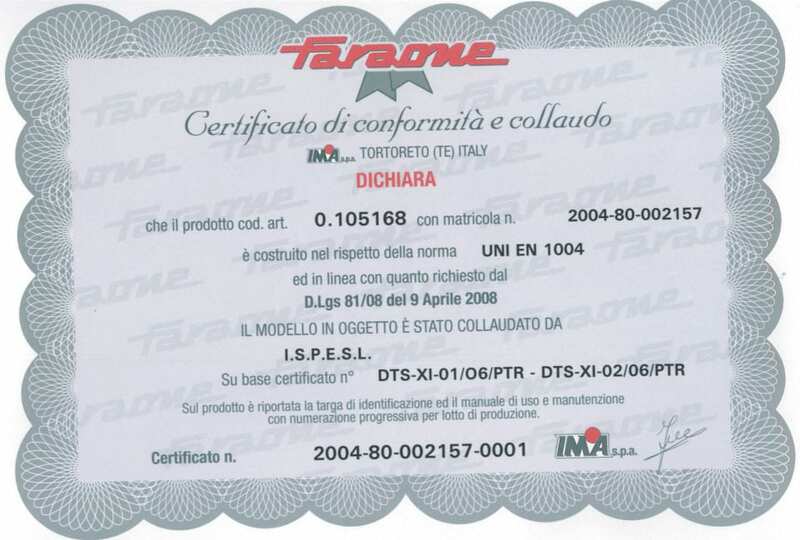 The Faraone scaffolding provided comply specifically with EN1004 safety standard.